This CyanogenMod (CM) 10.1 RC2 ROM for the HTC One X is based on the Android 4.2.2 Jelly Bean. If you want to, you can install the custom firmware by following the simple tutorial ahead. This is the unofficial version so you will need to ClockWorkMod installed on the device. You should also understand that the bootloader should be unlocked otherwise you will not be able to get this ROM. This is also a nightly build therefore you may experience a lot of FC errors and boot loops but as the development proceeds, things might get better. You should backup your data if you wish, and make sure you have at least 50% battery. 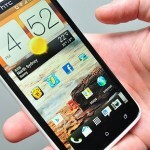 You should also have the proper HTC One X drivers which can be downloaded by clicking here. Lastly ensure that USB debugging is enabled. If you are ready to proceed please follow the steps after the break. A touch screen phone without a keyboard is basically the most useless thing you will ever see. It is the most important part of communication without which the entire process is fairly impossible. That is the reason why so many applications are developed in order to help ease the process. 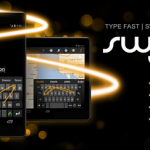 How efficient you are with your keyboard on your cellphone will determine exactly how productive you can be (so to speak). 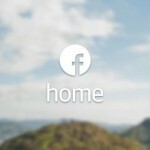 Facebook Home is now officially available to download on Google Play. 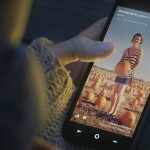 Facebook Home is the mobile experience that puts your friends at the heart of your phone. From the moment you turn it on, you see a steady stream of friends’ posts and photos on your home screen. Upfront notifications and quick access to your essentials mean you’ll never miss a moment. And when you download Facebook Messenger, you can keep chatting with friends when you’re using other apps.